What I like about the 4c version of the Romeo, is the Solar Powered backup to for the battery, which has a 50,000 hour run time. It has two reticle options, a 2 moa Dot or an Eotech style circle dot. Quick Detach. Insane lifetime warranty that is basically saying if anything happens, they’ll replace it, no questions asked. Which is awesome. The optic is super clear and bright for a Red Dot, and even with my bad eyes, I can see the dot nice and crisp. I like these little optics better than the vogue T1 or T2 Micros. 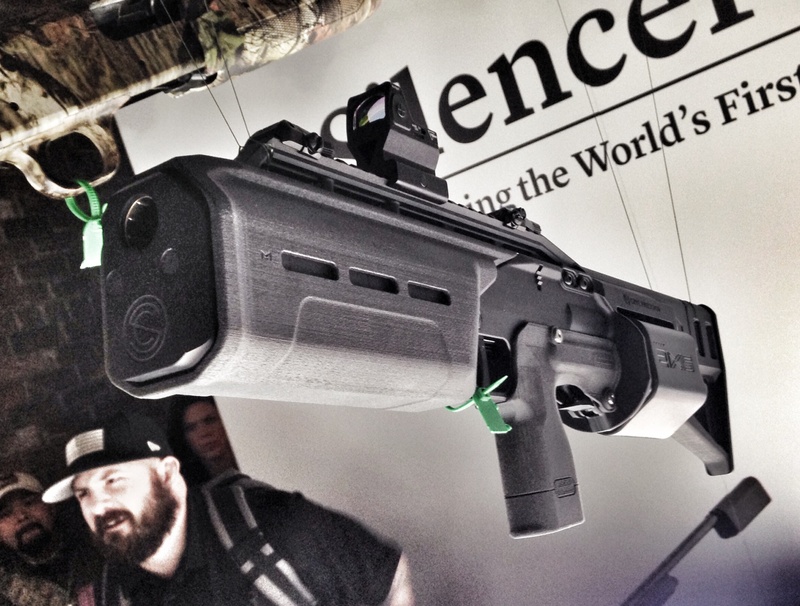 SIG’s Electro Optics are very good… and with that lifetime warranty? Getting one is a No Brainer. 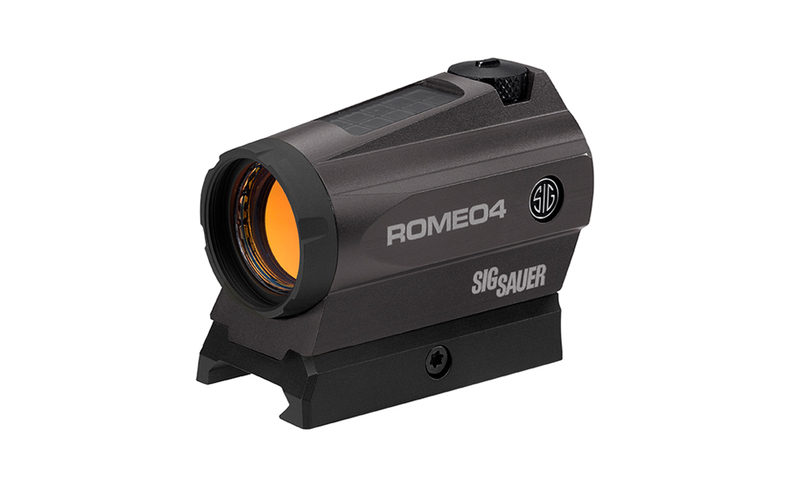 For Project Kahlan, and any future firearm that I want a Red Dot for – I’m getting the Romeo 4c’s for them from now on. 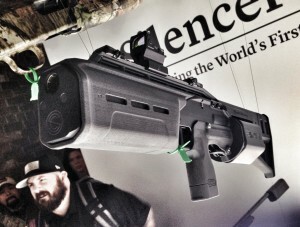 I got this Romeo 4c from my good friend Steve, who has several more for sale at his store, PrecisionRifleShooters.com. Now, if you want one too… Go there, and at Checkout enter Coupon Code “MADOGRE” for a nice discount. I’m going to catch a lot of flak for this one. Because I know these things have become crazy popular. I know they are ergonomic, have great triggers, and are accurate in a way most Strikers are just not. And I’ve shot them plenty… They do shoot just fine. 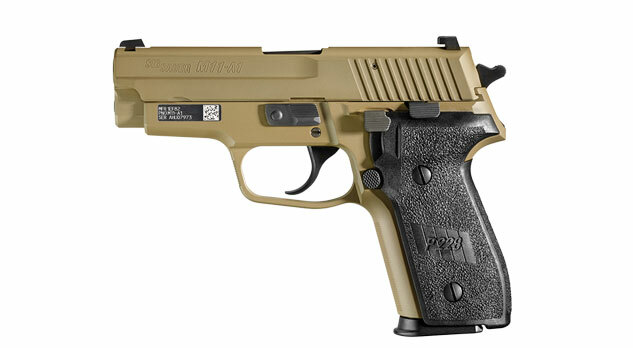 But I hate the SIG P320. I really wish SIG had an M-11 Legion edition. I’ve been thinking about SIG’s more and more lately. 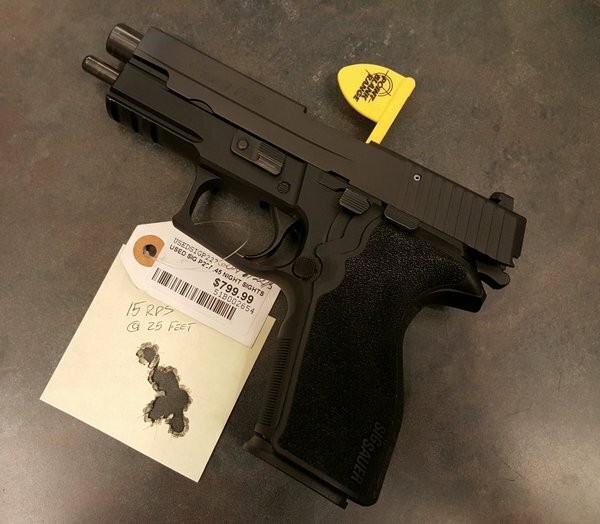 I sold a P229R the other day and it’s just reminded more and more how much I enjoyed shooting my 229R and how much of a mistake it was selling it. I admit to be very smitten with the M-11 pistol (P228) and that itch to get one is getting very… itchy. The new 229 pistols and the M-11 are the same pistol, the M-11 just doesn’t have the frame rails. The enhancements on the new Legion series – I really dig. And quite frankly, I need. I love the color of the finish, and grips are just cool. The extra checkering, yes, I’m a fan of it. But most importantly is the big bright front sight post. 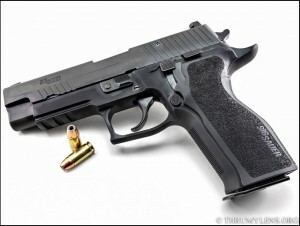 Any SIG 22X pistol (Any SIG model that starts with 22) is a Shooter’s Pistol. They are exceptionally accurate and reliable, hammer fired and made of metal, the way I like it. The double action pull on most any SIG 22X is very good. Not too heavy, not too long for DA’s. It’s good. But what’s even better is the SA pull. In Single Action mode -maybe I’m just used to them – the trigger is divine. 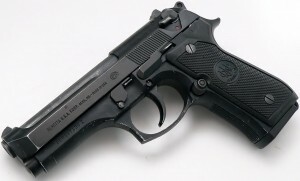 And the stability of any of the SIG 22X guns is incredible. They handle the recoil, with no drama. Sure, there’s a bit more muzzle rise during recoil than say a Glock thanks to bore axis… But the SIG’s come back on target perfectly. And no matter what trigger package I put in a Glock, I can get better accuracy out of the SIG’s. And I like the fact that the hammer is set up in the Rebounding configuration so manual safeties are not a bother. You don’t need them. Just take your finger off the trigger and/or decock… the weapon is perfectly safe. It’s probably the only semi-auto pistol that I’d feel perfectly comfortable packing Appendix. 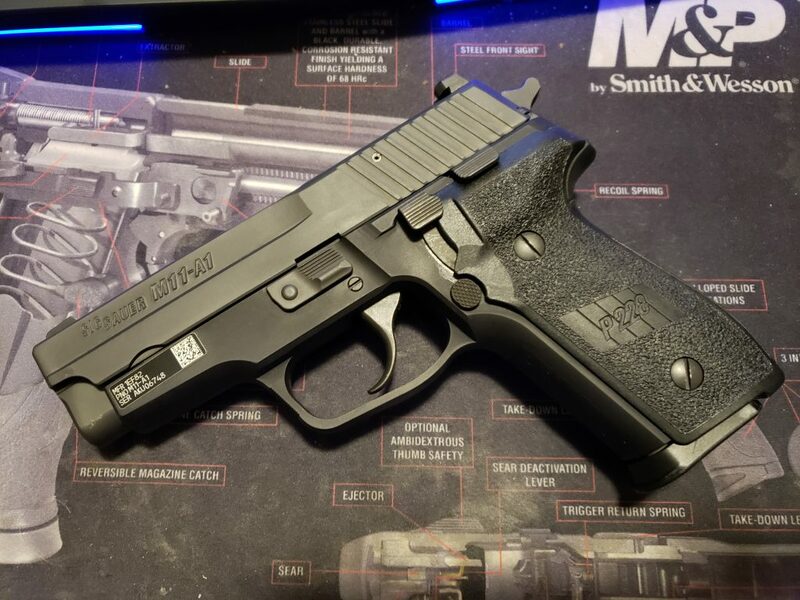 I trust the SIG safety more than any other semi-auto pistol out there. I just do. There’s a thing there… that word. Trust. I trust SIG. 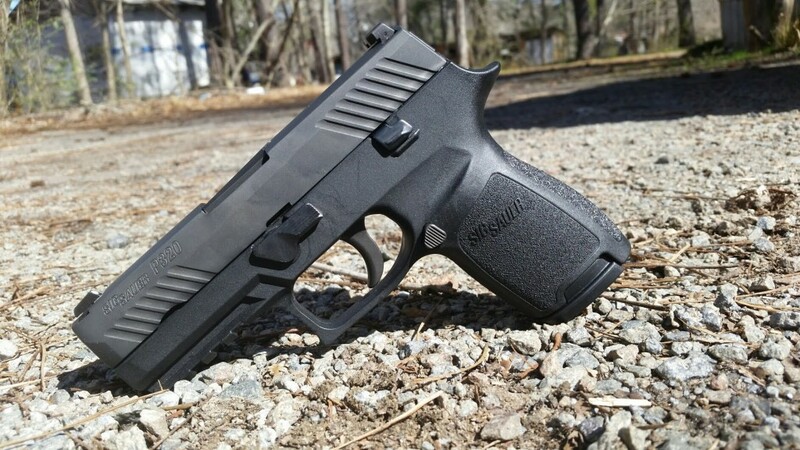 I trust several gun brands… but SIG is probably at the very top of that list. Over on WeTheArmed.com, the subject is being discussed. This is something I’ve been wanting now for – let me check – about 15 years. And it’s finally happening. 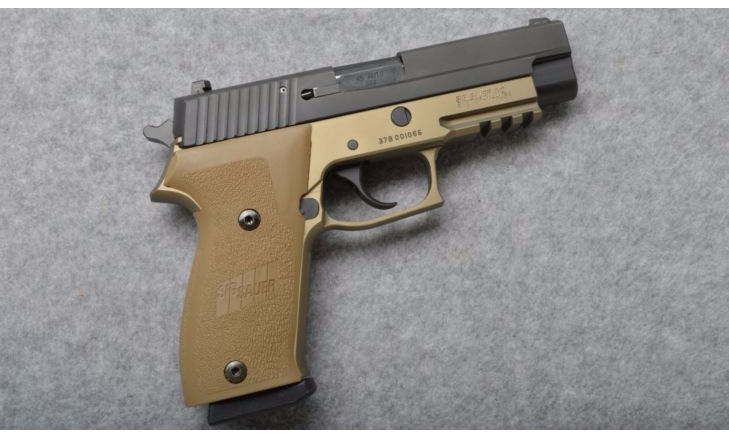 SIG is going to release some variants of the P220 in 10mm Auto. This isn’t just good for us 10mm fans. This is really good for us 10mm fans. Really, outside of custom 1911’s that cost the same as a decent used motorcycle or even a car… There have only been two options for a production 10mm pistol. Let’s look at Glock. The Model 20, and the Model 29 have been it. Luckily for us, Glock is also bringing out the Model 40 MOS in 10mm so we have another decent option… the Model 40 sporting a long slide and being optics ready. I’ve handled this gun and it’s going to be great. I’d still really like to see CZ-USA offer a 97B in 10. The 97B and the P220 have been my dream Tens. I am very happy about this.